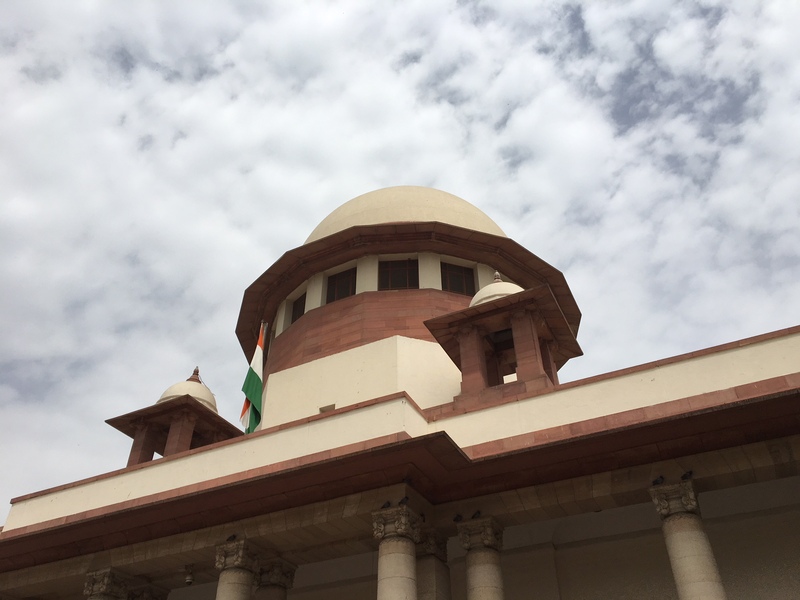 The court has extended the house arrest of Sudha Bharadwaj, Vernon Gonsalves, Arun Ferreira, Varavara Rao and Gautam Navlakh; Justice Chandrachud dissents. New Delhi: The Supreme Court on Thursday refused to order an SIT investigation into the arrest of five rights activists by the Maharashtra police, and ordered four more weeks of house arrest. During these four weeks, the activists – Sudha Bharadwaj, Vernon Gonsalves, Arun Ferreira, Varavara Rao and Gautam Navlakha – may approach the concerned court for relief, the court said. A three-judge bench of Chief Justice of India Dipak Misra and Justices A.M. Khanwilkar and D.Y. Chandrachud were hearing the matter. Justice Chandrachud presented a dissenting opinion. The court was hearing a petition filed by Romila Thapar, Prabhat Patnaik, Devaki Jain, Satish Deshpande and Maja Daruwala. “Accused persons do not have say in which investigating agency should probe the case,” Misra said. Expressing his dissenting opinion, Justice Chandrachud said that “Technicalities should not be allowed to override substantive justice”. He also said that the petition filed by Thapar and others in the Supreme Court was “not motivated by political aspects”, Bar and Bench reported. Chandrachud also said that the way the Maharashtra police had acted raised serious questions about whether they were fit to carry out the investigation. He said that an SIT should be constituted to probe the case. “Voices of opposition cannot be muzzled because it is a dissent. Deprivation of liberty cannot be compensated later,” Bar and Bench quoted him as saying. The judge questioned the Maharashtra police’s decision to take their “evidence” to the press, saying they were trying to “manipulate public opinion”. “Letter alleged to be written by Sudha Bharadwaj was flashed on a TV channel. The police is selectively disclosing probe details to the media, casting a cloud on the fairness of our investigation,” Chandrachud said. The arrested activists: Varavara Rao, Vernon Gonsalves, Sudha Bharadwaj, Gautam Navlakha and Arun Ferreira. The petition had sought for setting up of an SIT which was declined by the court today. Abraham said that part of the decision was “disheartening”. “We had hoped that the SIT would be constituted and the case would be taken off the Pune police’s hand. However, that did not happen,” she added. Maharashtra police on August 28 raided the homes of prominent activists in several states and arrested five of them for suspected ‘Maoist links’, sparking a chorus of outraged protests from human rights defenders. Prominent Telugu poet Varavara Rao was arrested from Hyderabad, activists Vernon Gonsalves and Arun Ferreira from Mumbai, trade union activist Sudha Bharadwaj from Faridabad and civil liberties activist Gautam Navlakha was arrested from New Delhi.